I am not sure if responsible travel is something that is becoming a hot topic over the last couple of years or if it’s related to my influences. Nonetheless, it’s something I am becoming ever conscious of on our adventures as a family. Being a regular traveller, I want to take it seriously, just like people do with their respective community. I will be the first to admit my lack of insight and education on the topic in my twenties. In turn, this made me unknowingly an irresponsible traveller. From riding elephants to having a monkey on a chain fetch me a coconut, I will admit I look back at myself with disgust. 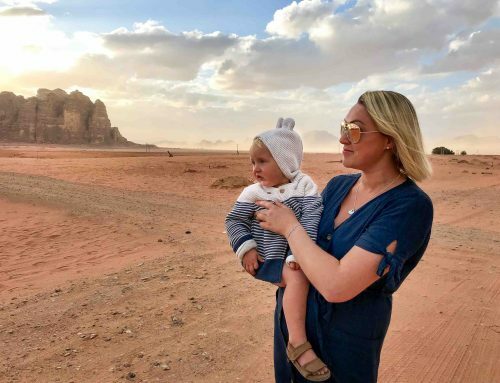 I am keen to raise awareness so I thought I would explain how our family are trying to engage in responsible travel. So what is it? It is travel that limits negative effects on locals, the economy and their environment. Instead, responsible tourism benefits the local people by growing their economy, improving work-life and letting them take ownership of their environment. It can also be related to animals and their welfare, avoiding situations where they are used for a tourist’s pleasure. The list goes on but this is the gist of it. 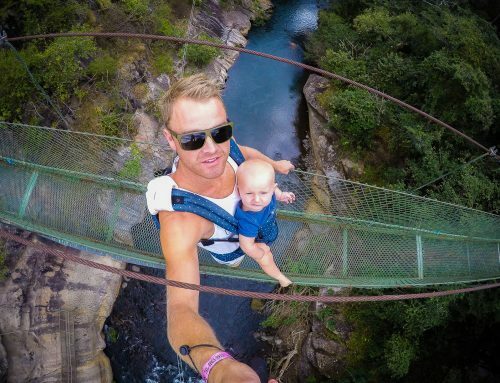 Many responsible tourism enthusiasts say it should enrich our experiences as travellers. This happens through connections with locals providing meaningful and enjoyable cultural experiences. I can think of many poignant travel moments from our adventures. They always involve a local person! 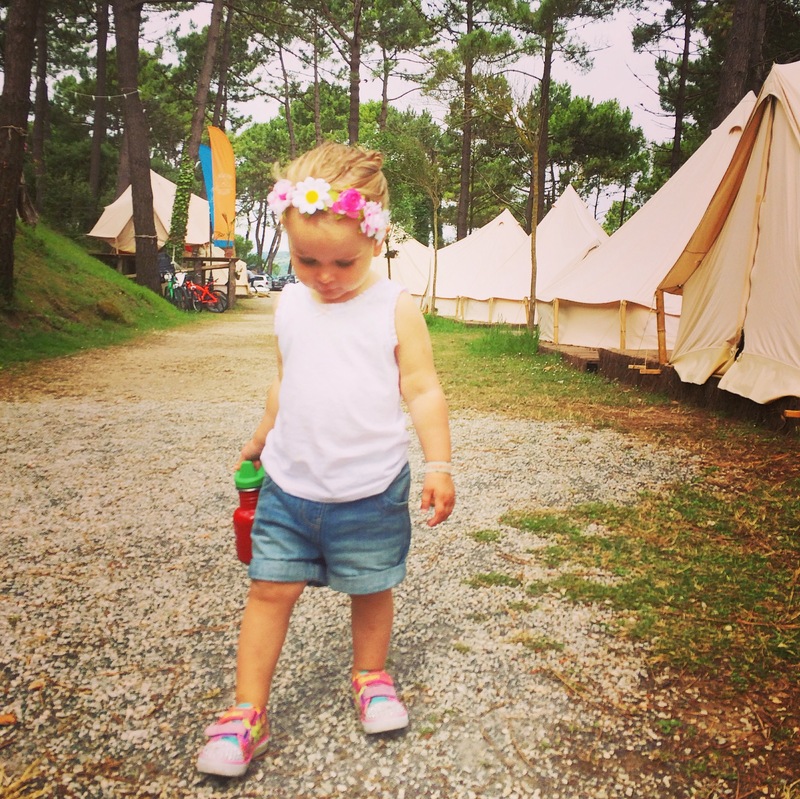 I also find these situations most important to me in what I am trying to gain from travelling with Esmé. Maybe she is too young now but as she grows to understand, I want her to know about cultural differences and embrace them. There are many companies out there that offer ‘authentic experiences’ but most companies are based at home. They charge a premium and the locals receive very little of it. So we try to book as many city tours etc as we can when we actually arrive in the country. That way, the money goes to the locals and we are more likely to get an authentic experience rather than a coach trip with 40 tourists. However there are also great organisations that you can use to book from home. One example of an organisation that gives 100% of the profit back to the local community is Visit.org. 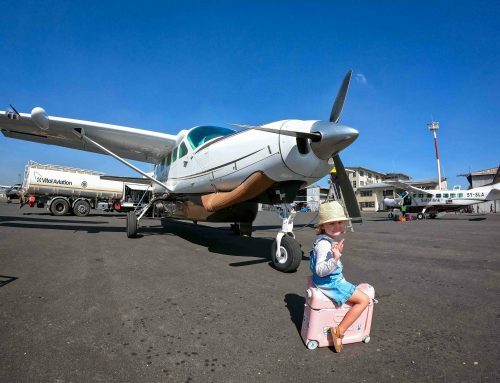 Their mission is to provide authentic travel experiences whilst always benefiting the community. From dance classes to home stays and learning Peruvian weaving, it is an incredible way to ensure our money is going back to the locals through ‘do-good’ organisations. 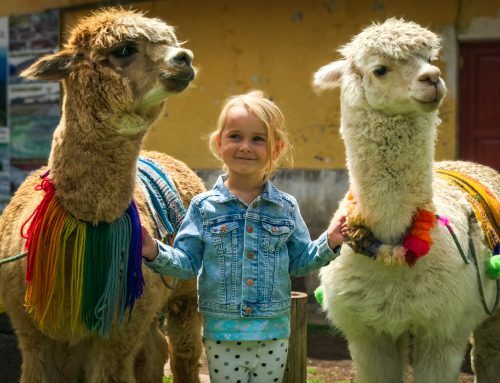 There are experiences that are more specifically suitable for children such as art workshops, theatrical performances and visiting animal sanctuaries. This is something that has come up in conversation with grandparents and caused many a sticky debate. I really don’t want Esmé to go to the zoo where wild animals or birds are in cages. It goes without saying that zoos are purely for tourist’s pleasure rather than wholly for the animals wellbeing. Whilst I appreciate some zoos are trying to protect endangered species through assisted breading, I still do not feel that having wild animals behind perspex glass or a cage is right. When it comes to sanctuaries, yes there are many great places to take children to show them how animals should be treated. These are the places I would rather take Esmé to learn about wildlife. However there are many places that falsely operate under names such as sanctuaries. It is really good to research before going. If you can ride on a wild animal, I can safely say it is not a sanctuary. This also goes for certain situations that involve petting. An example of this came to light recently, a company in Norway allows tourists to pet / cuddle wolves. They call themselves a sanctuary when clearly that situation is completely for the tourist’s pleasure. I feel the best way I can show Esmé the animal kingdom is through safari. Animals are in their own environments and impact is limited from human interference. 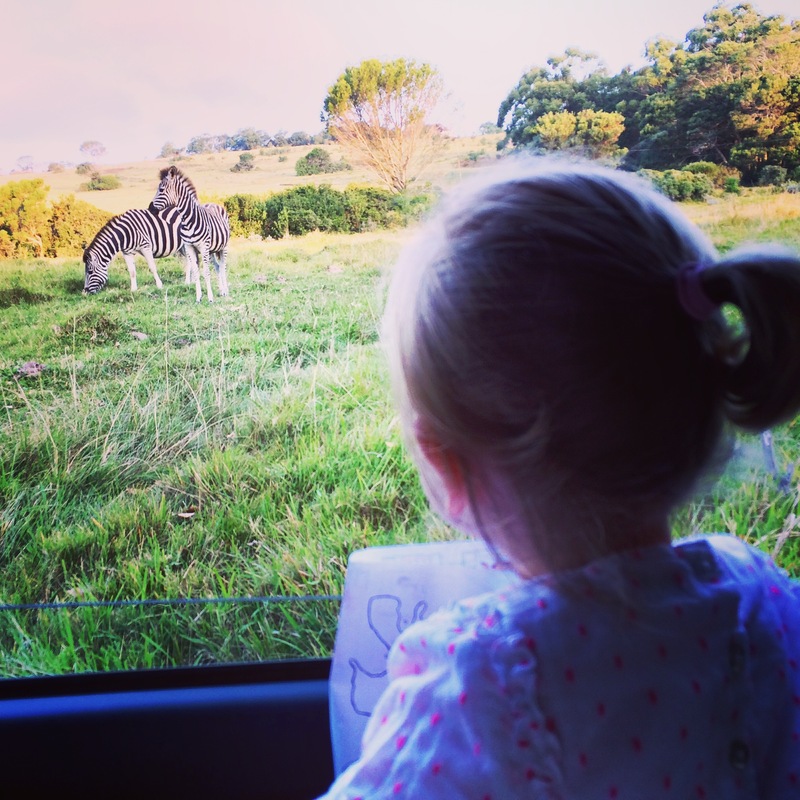 We recently had our first experience of safari in May last year. I can safely say it was the most enjoyable experience I have ever had when it comes to animals. Otherwise spending time on a farm with traditionally tame animals could also be an option. This is definitely something I have always tried to do. Eating local food made by locals allows us to delve into their culture further. From learning about local produce to different ways of eating and enjoying food it is my favourite part of travel. It goes without saying, avoiding large chains that pop up in every town across the world supports the locals by giving them business. In turn, growing their economy for the better of the community. 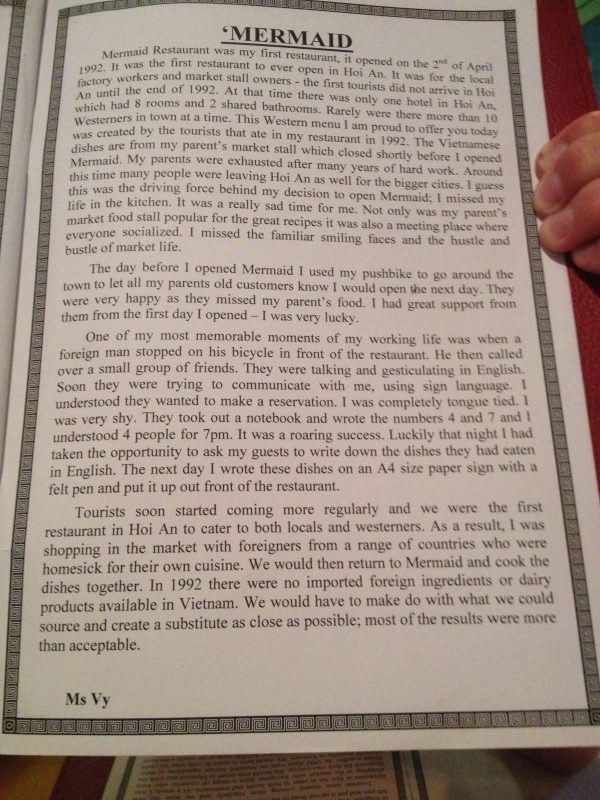 I once read the story pictured below in a Vietnamese restaurant. 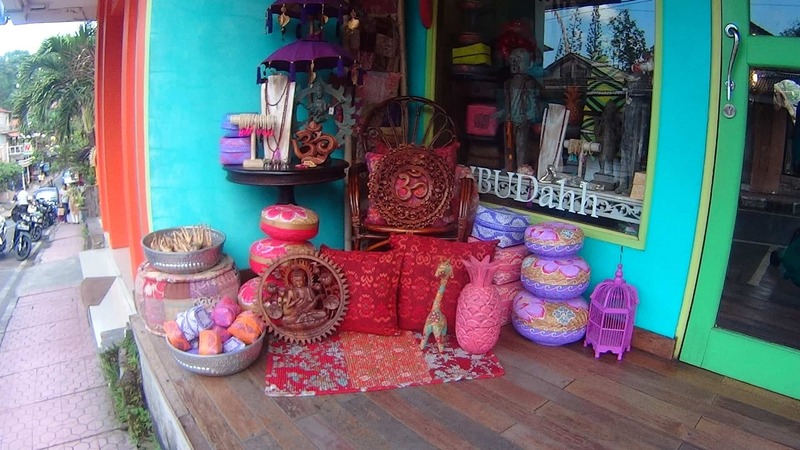 The owner talks about how she grew her business back in the early 90s with the help of tourists. It is really inspiring and gives us all reason to stick with the locals for our meals. Although all-inclusive holiday deals can make it so much more financially viable for many families, It really does not help the locals. Instead profits go to large hotel chains. It’s best to spread the money we bring with us around to ensure there are positive benefits. Another idea is to do half your time as all-inclusive and the rest exploring local restaurants. This may help keep within budget. I’ve always loved a good haggle. My husband, mr laid back, leaves it to me because he usually agrees to the first price. Of course when we visit places like markets they will put their price up significantly to end up at a point where they are making enough profit. I don’t think it is wrong to haggle. However, I feel we need to be haggling for a fair price. One that ensures the entire chain from craftsmen to shopkeeper is making a living. This can also be applied to taxi drivers and other situations where a price is negotiable. We have to think, is this a fair price? Our carbon footprint is atrocious. This is definitely an area we need to work on, mainly due to the flying aspect of our adventures. 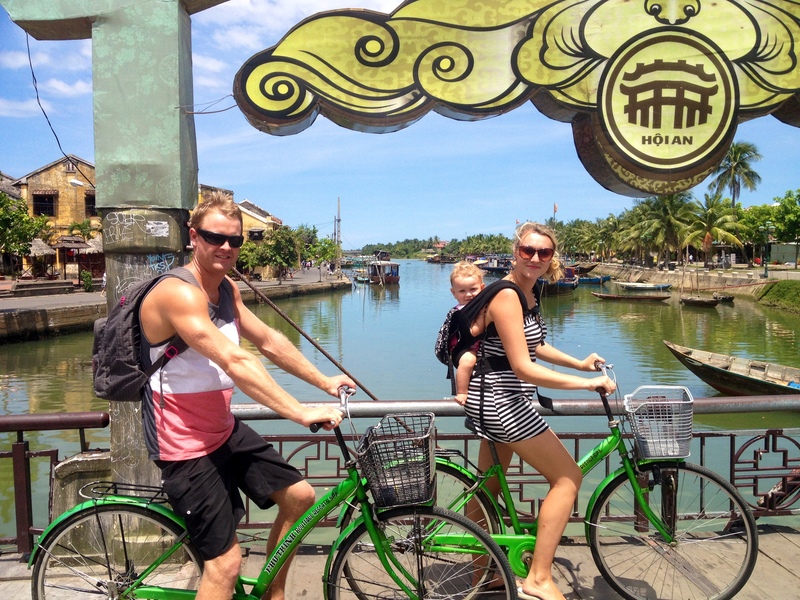 However we try to make up for it by renting bikes, walking and taking eco-tours where possible when we are travelling. We try our best to avoid renting a car and if we have to, we definitely stay away from cities. 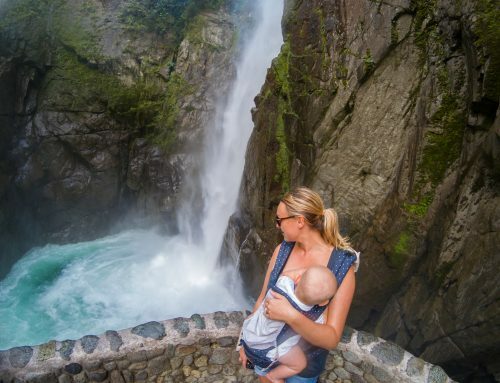 The first time I became quite conscious of responsible travel as a family was when I switched from reusable nappies to disposables for travel. How would I manage washing them without a washing machine? I haven’t come up with a solid answer to this, other than using biodegradable nappies to reduce the impact on the environment. If you have any amazing ideas, please share with me. Other things we do include recycling, reducing wastes such as plastic and preserving water. We are trying to bring stainless water bottles with us when we go away, which reduces plastic waste. We are also trying to avoid buying packaged foods. Last summer we were challenged by Klean Kanteen to reduce our waste and spending as a family. So we have tried to keep it up since then. We can preserve water by not leaving towels out in hotels to be washed daily. We are by no means perfect and can’t always stick to what we know is best. However we are conscious of our decisions. 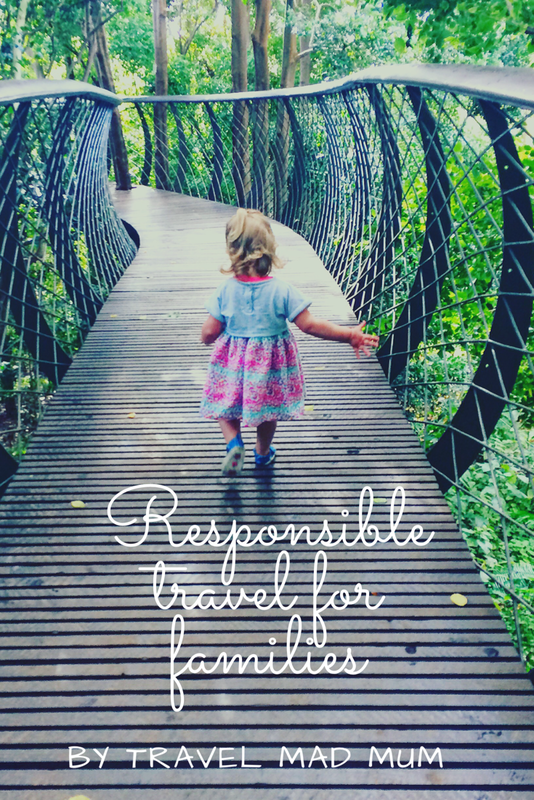 I wonder if you have any other great ideas to be responsible family travellers? Please share in the comments. I love to hear from you. I was inspired to write this blog by three influences, two fellow bloggers and my sister. 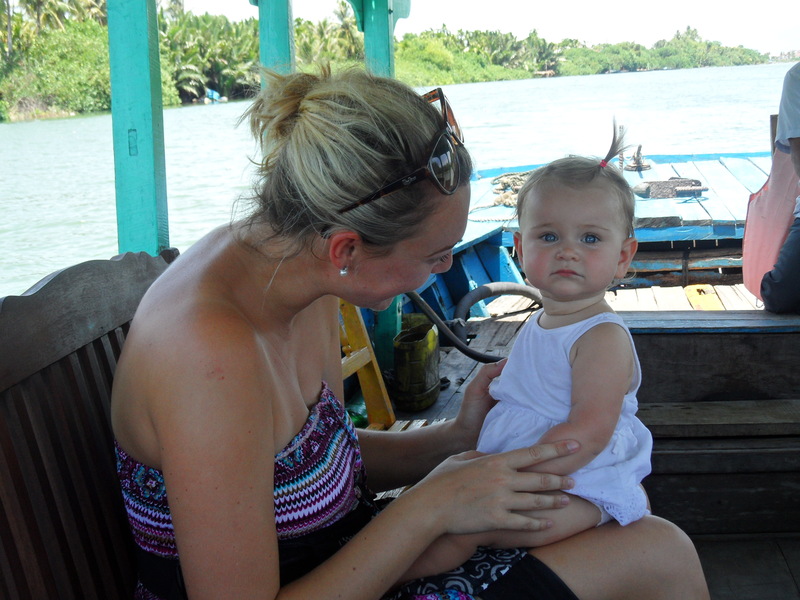 Thank you Ellie from Soul Travel Blog for making me think what I am doing more as a traveller. Also, thank you to my sister Gill (Life Vegan Style) and friend Kiki (Kirsty Wright Yoga) for making me think about animal welfare. I love this! We try to travel as responsibly as we can by choosing homestays or guesthouses over large hotels, and supporting local initiatives as much as possible. I haven’t heard of visit.org before, and it looks like a goldmine for small, local tours and agencies. Thank you!